The Black Forest is located in the southwest of Germany and is a popular and beautiful holiday area. 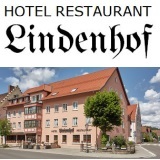 On these pages you will find everything you need to know about the countryside, leisure activities and tourist attractions, as well as your Black Forest hotel, holiday apartment or farm holidays. Werbebanner auf der Startseite ab 35.- Euro zzgl. MwSt. pro Monat.